We have just recently finished studying Europe during the Middle Ages. The students have learned much about the legacy of the Romans, manors, knights, lords, The Magna Carta, the bubonic plague, the Catholic Church, The Eastern Orthodox Church and the eastern empire based in Constantinople. We will now move on to studying about the Rise of Islam. Personally, I find this a fascinating topic. 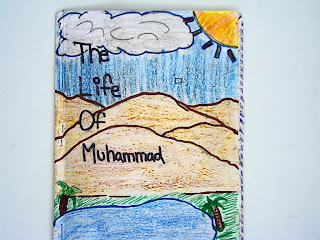 I don't remember learning much about the Middle East or Islam in my k-12 education. I wish I had learned more because it seems an extremely relevant topic given the ongoing conflicts that exist in the world and how historical events have impacted relationships between different groups of people. Please know that in this class we learn about different religions because we are studying the way people have interacted throughout history. I don't think one can study people without considering the beliefs that inform(ed) their actions. As a teacher, I don't tell the students what they must believe personally. Rather, we look at the facts and consider all points of view with an open mind.